Google Photos is a pretty solid solution when it comes to keeping a cloud backup of your photos. It offers two options to store images in the cloud — Original Quality and High Quality. However, Google says that over a third of people using Google Photos in India have some photos that hadn’t been backed up in over a month. This is mainly due to infrequent or poor access to Wi-Fi. Thus, to solve the issue, Google has introduced a new backup option in Google Photos — Express. It provides faster backup at a reduced resolution, ensuring that your photos are backed up even when you have poor or infrequent Wi-Fi connectivity. The company had started rolling out this new backup option in December last year to a small percentage of people using Google Photos on Android in India. 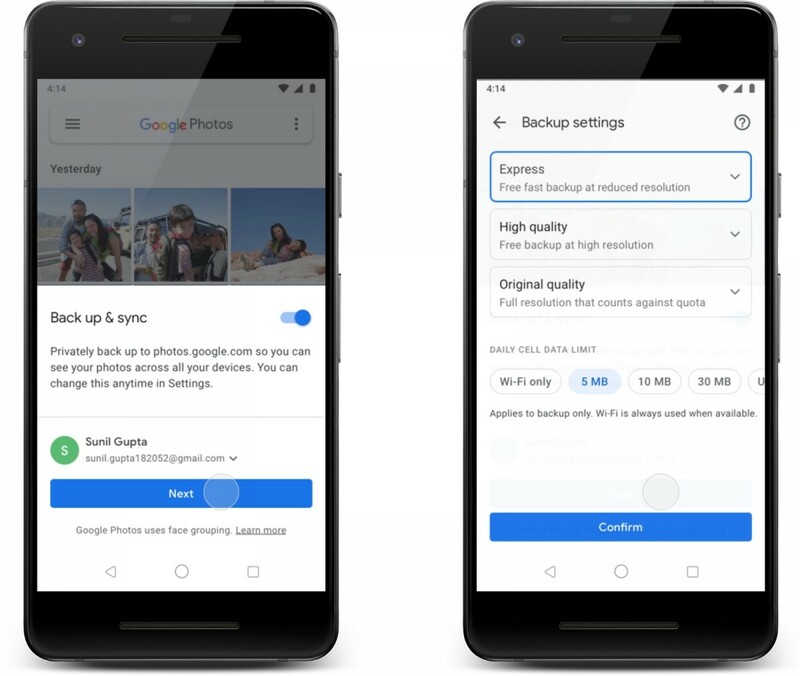 Over the past week, Google started rolling out Express backup to more users in India and by the end of the week, all Android users on the latest version of Google Photos will have this new option. Along with rolling out Express as an additional backup option in India, the company has also introduced a new Data Cap option for backup. It gives users more granular daily controls for using cellular data to back up, allowing users to select from a range of daily caps, starting at 5 MB.